Is there a better alternative to iPaler? Is iPaler really the best app in Finance category? Will iPaler work good on macOS 10.13.4? 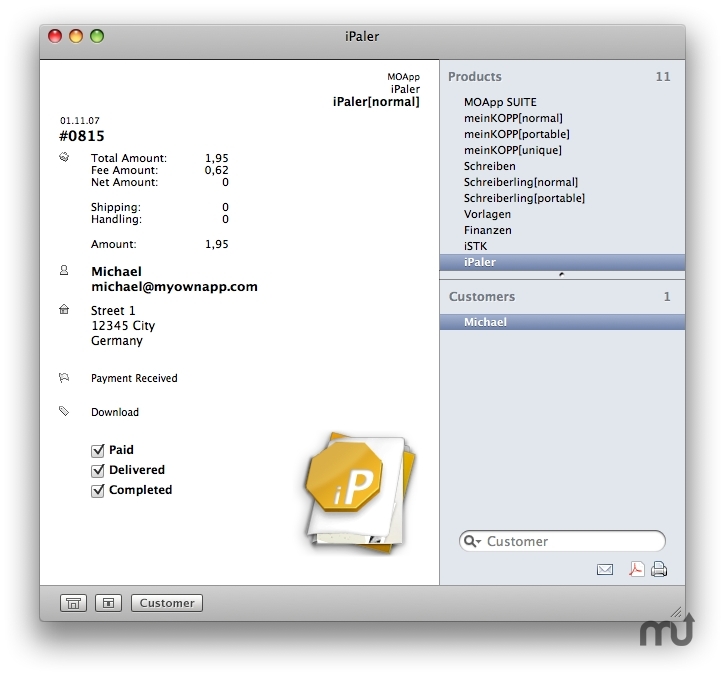 iPaler is a small and easy to use application to store, track and manage your received PayPal transactions and customers. You can create different accounts, products and customers/transactions to these products. If need you can export (.pdf) or print receipts. There is also a portable/network version available. This portable version can even run in your network. Version 1.1 is Mac OS X 10.5 Leopard compatible. iPaler needs a review. Be the first to review this app and get the discussion started! iPaler needs a rating. Be the first to rate this app and get the discussion started!